Stop the dazzling of the headlights or sun! It is important to protect your eyes from harmful elements including ultraviolet rays and headlights, especially when you are driving. 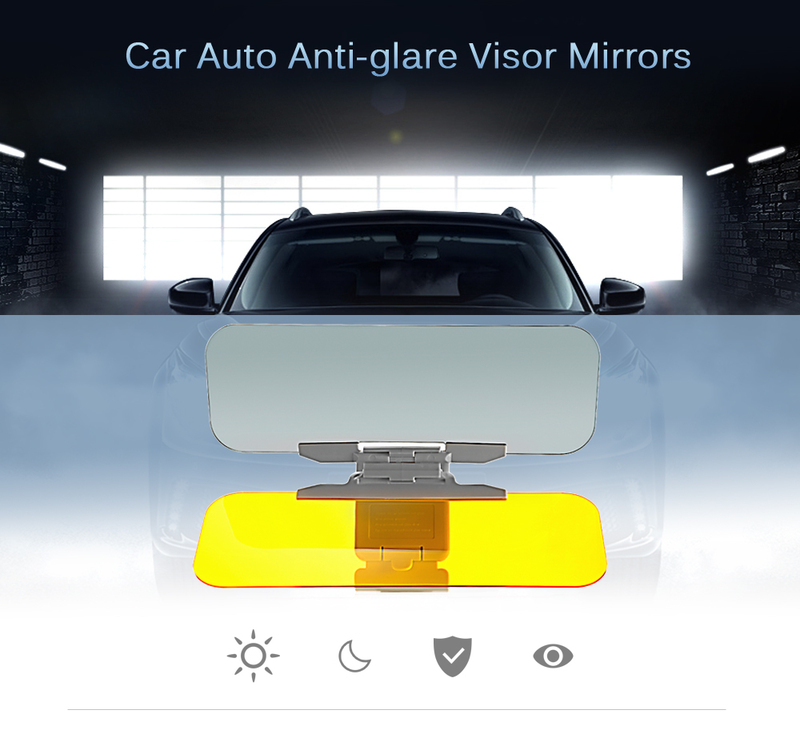 Anti-dazzle visor can filter harmful elements and soften the light source, it certainly can improve your visual comfort. When you dont use the anti-dazzle visor, just fold the two panels. - Flip the yellow panel to the top, the gray panel to the bottom. - The two panels should from an angle of about 110 degrees. - Start with the shape of day time use. - Push the gray panel upwards until it touches the immobile grip. - Then, flip the yellow panel down. - You can adjust the position of your original visor for a better view. - To install the product, please push outwards gently the outer rims of the screens with pressure applied evenly. - If dust or dirt is apparent on the screen surface, simply use a soft hairbrush or chamois leather to remove the dust or dirt . For stubborn dirt or stain, please detach the screen first by loosening the screws with a screwdriver and then rinse thoroughly. - For cleaning, do not use coarse cloth or volatile solvents such as alcohol or paint thinner with soapy water. Finally, dry with a lint-free cloth. - Please avoid using this product while driving in unlit or dark areas in which night vision devices should be a lot more helpful.